“Zoot Money – who originally came from Bournemouth – and his Big Roll Band will be playing in a Rhythm & Blues concert to be staged at Lighthouse Poole on Friday 2nd December. He will join the Manfreds whose line-up of original members includes Paul Jones, Mike D’Abo, Tom McGuinness and Mike Hugg as well as Rob Townsend, Marcus Cliffe and Simon Currie. 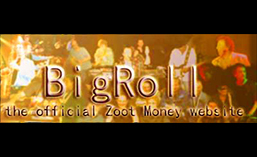 This entry was posted in gigs, music friends and tagged #maximumrnb #blues #britishblues #1960s #zootmoney #zoot #bournemouth #blandford #poole. Bookmark the permalink.